This entry was posted in Healthy Conversions and tagged fudge, sundae by Dr. Ochner. Bookmark the permalink. Wow that looks amazing!! Thanks for the idea! mmm this lookes so good ! i want to hop into the screen…..yum o licious ! thanks so much for all these amazing recipes. It’s so generous of u 2 give us the recipe and make it thanks so much! i cant wait to try it!!!!! it looks really good ! This is a very good recipe….you do a great job of explaining everything, thanks ! I made this Hot Fudge’s recipe and it was soooo good. This one is a keeper and I will definitely make this again.. Please post more recipes. Thank you. 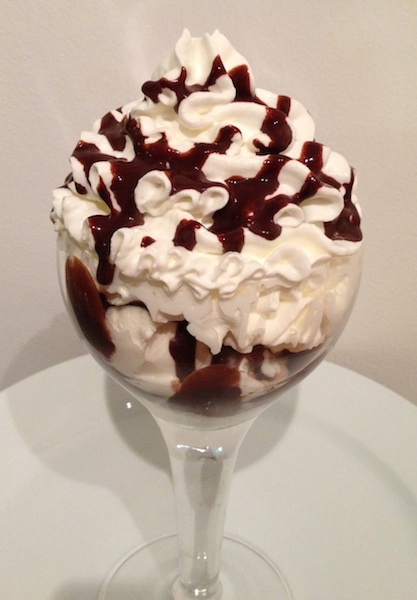 Thanks for sharing the Hot Fudge Sundea Recipe. Now I’m craving it now. I better check if I have all the ingredients.. Thanks Again..